New Talent British International Youth Music Competition is organised by Amy Yuan Academy in association with British Music Society. The Competition aims to offer young people the experience of performing on a public stage, an opportunity to showcase their musical talents, a platform to learn more about British music and exchange musical ideas with young musicians from other countries and cultures and to receive impartial feedback and assessment of their performances by UK’s top music professors and educators. 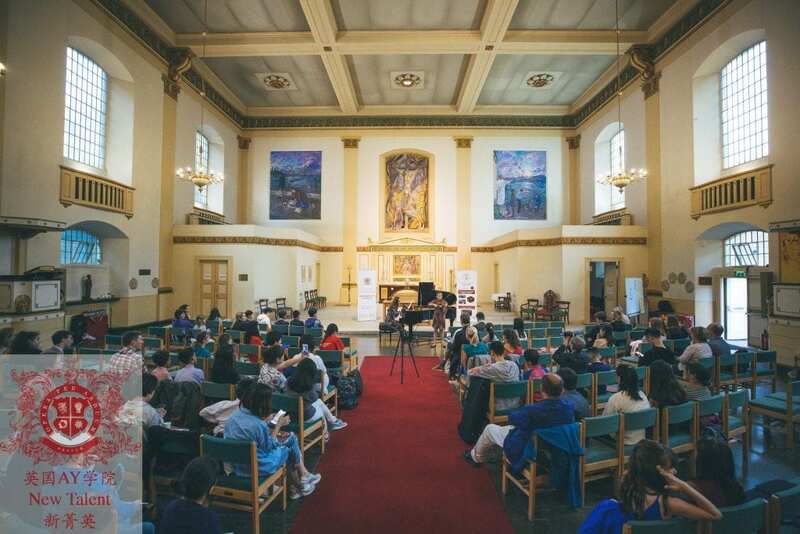 The Competition 2018 took place in London on 15th and 16th August 2018 at 1901 Arts Club and St. John’s Waterloo. The Competition welcomed over 50 competitors aged 5-18 from England, China and Sweden across three disciplines – strings, piano and voice. It was a celebration for candidates for their dedication and hard work, for parents for their unconditional support and for teachers for their ongoing guidance. The Competition was wrapped around musicianship talk, masterclass and prizewinners’ concert to enrich the learning experience of the competitors. We were honoured to be able to invite Professor Jo Cole, Head of Strings at Royal Academy of Music to come and talk to our competitors about musicianship. After the inspirational talk on musicianship, competitors enjoyed a cello masterclasses given by Professor Jo Cole to AY Academy New Talent Music Festival student Max Zhao. Students from AY Academy New Talent Music Festival and selected competition candidates were invited to perform at the competition Opening Concert which took place at St. John’s Waterloo on 15th August. Among the performers were Royal Academy of Music Professor of Piano – Professor Nicola Eimer. We were very lucky to have award-winning pianist Alexandra Vaduva as our Competition Official Accompanist. Competition candidates were each given a run-through slot with Alexandra on the afternoon of 15th August. 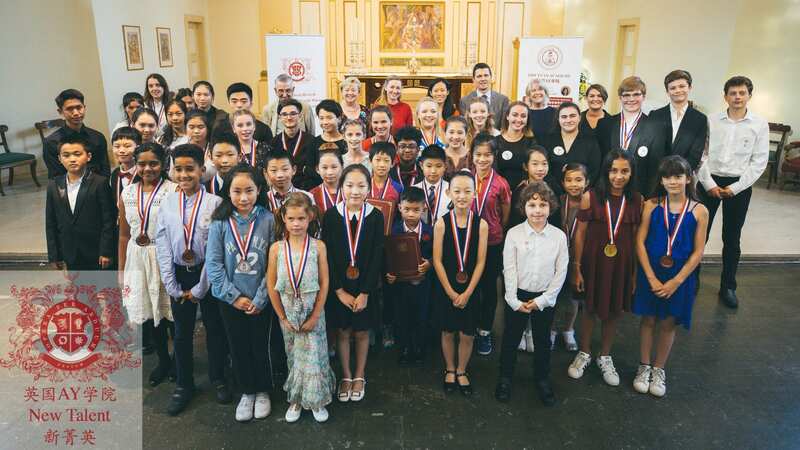 On 16th August, the Competition Day, over 50 candidates aged 5-18 from England, China and Sweden across three disciplines – strings, piano and voice performed to a panel of 5 judges. The moment of celebration! Candidates, parents, teachers, jury panels were joined by Treasurer of British Music Society – Mr. Stephen Trowell and PA of AY Academy Royal Patron – HH Princess Alreem Altenaiji at St. John’s Waterloo. Virtuoso Prize/British Music Society Prize and Gold, Silver and Bronze prize winners were announced and presented. Virtuoso Prize winners were honoured with prizes from British Music Society. Hand-written comments from the Jury Panel were also give to each candidate. To give the Virtuoso Prize winners a platform to showcase their talents and hard work, we hosted award winners’ concert at St. John’s Waterloo for all candidates and families to enjoy.